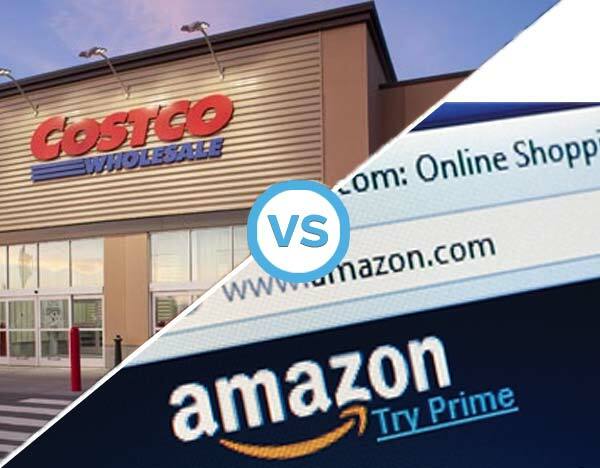 In honor of Amazon Prime Day today we thought we’d compare some pricing from our local Costco store to pricing on Amazon. Keep in mind that pricing at Costco around the country can be slightly different, but we believe electronics stay mostly the same. The comparison pricing was taken from the store on July 10th, so keep in mind as well that pricing can change over time too. Feel free to leave a comment of any comparisons you’ve made where you’ve find the pricing to be better at either Costco or Amazon! From a quick review of the pricing of the random items we selected there are a few great deals. First of all, the 53″ Teddy Bear is half the price at Costco. Secondly, the hair dryer is 40% cheaper at Costco. Lastly, the Braun Series 3 shaver is 43% cheaper at Costco. It also is a newer item in our store, so we wouldn’t be surprised if Amazon started to bring down their price to get closer to Costco’s pricing. On the other hand, ALL of the printers we randomly checked were cheaper on Amazon. So now you know, buy everything except printers at Costco! And the sad part is that Amazon no longer has a leg up on sales tax; you pay sales tax on Amazon shipments to practically every state. Used to be you could factor in zero sales tax with Amazon shipments when comparing bottom line prices. Costco has it’s own sales tax problem. You pay tax on the full pre-sale price, not the discounted final sale price like you would on Amazon, Walmart, or any other store [at least in Colorado], which adds up especially on large purchases.